So here’s the thing with lentils. I kind of hate them. I really hate their texture and could do without their flavour. But then a few days ago I wanted to have a substantial salad for lunch and had a tin of lentils in the pantry. I would never had added them but because the flavours I had already decided on were quite hearty, I thought the lentils would do well when added and I was right. Look, I’m not going to eat lentils all the time now but in this salad they’re actually pretty damn delicious. I’ve concluded that lentils need to be paired with rich, robust flavours in order to taste good and this salad is packed full of that. 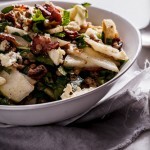 I had a few pears that were at that point of being-delicious-right-now-but-will-be-disgusting-within-2-minutes so I decided to chop them into the salad as well as some crispy bacon, oozy gorgonzola and shredded baby spinach. 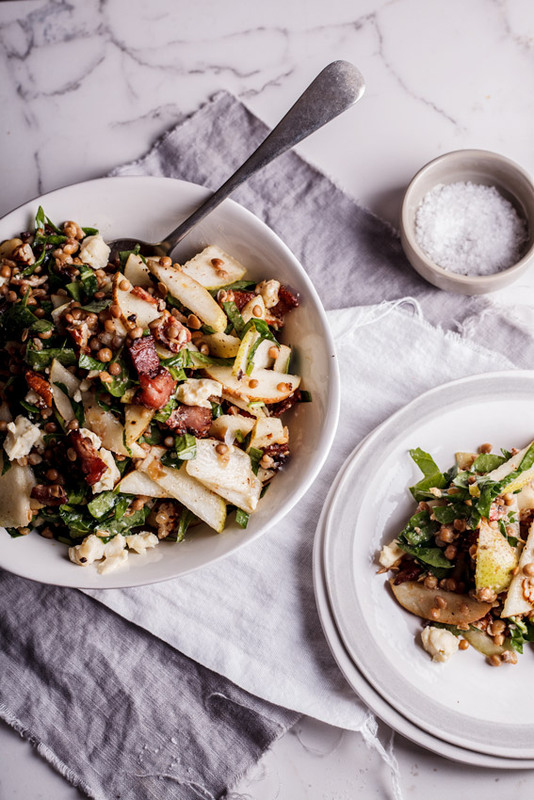 I also imagine cubes of roasted butternut or sweet potato, feta and chilli would be absolutely delicious in a lentil salad because there’s a lot of flavour and texture there. Finished off with a super zesty dressing of fresh lemon juice and olive oil, this salad made for an incredibly delicious, filling lunch which I will be re-visiting really soon. In a large, hot frying pan, fry the bacon until crisp. 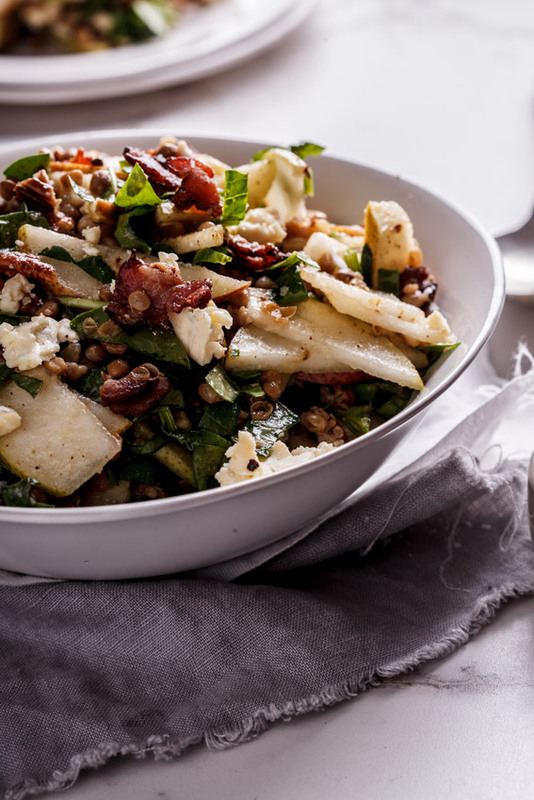 Combine the lentils, sliced pears, crispy bacon, gorgonzola and spinach in a large bowl. 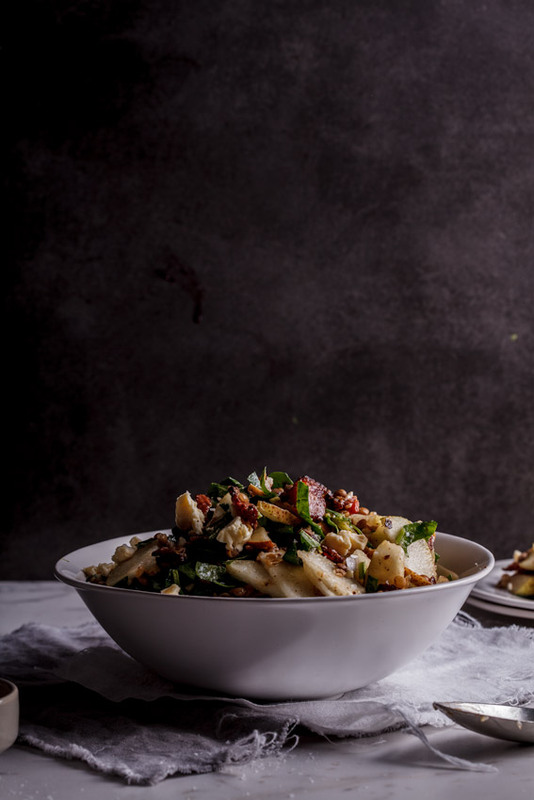 In a smaller bowl, combine all the dressing ingredients then pour over the salad and toss. 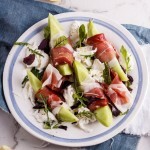 At this point the salad can be refrigerated for up to an hour or two. If you'd like to make it the day before, cover the undressed salad with plastic wrap and refrigerate until you are ready to serve. I was starving before this and now I cannot wait to get home!! I love lentils 🙂 Although, I don’t have gorgonzola, bacon or pears at home at the moment I will be making this this weekend! Let me know what you think once you have!